In Okami, would bạn have rather been able to explore around after defeating Yami, hoặc start from the beginning again? How much time did bạn need to finish the game? Dos amaterasu has thêm forms? Can bạn get the ice power Ninetails uses against you? The game takes place three months after the events of Ōkami. Amaterasu's battle against Yami has been in vain, as if would have killed all the demons in Nippon, but for a mysterious reason, they return. Sakuya, the Konohana Wood Sprite from Okami, desparatly tries to summon the Sun God Amaterasu from the Celestial Plain, but to her and a watching Issun's suprise, a small male chó sói, sói cún yêu, con chó con shows up, who looks like a young version of Amaterasu; and he, newly named "Chibiterasu", sets out on a journey to save the people of Nippon. 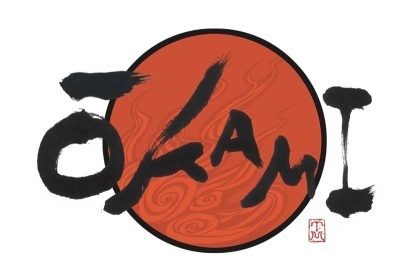 Although Capcom's brilliant Zelda tribute Okami started life on the PlayStation 2, it proved a thêm natural fit on the Wii. The paintbrush mechanic that allowed bạn to daub great swathes of colour over a drained landscape was ideally suited to the Wii Remote. It's no great surprise then to see that thinking carried through to its natural conclusion - a version for the DS, whose stylus is perhaps an even better pretend-paintbrush. The Eight Canine Warriors are based on the epic novel Nansō Satomi Hakkenden (南總里見八犬傳; the last kanji is sometimes written in the simplified form 伝) bởi Kyokutei Bakin, which was serially published in 106 volumes from 1814-1842. Nansō is an archaic name for Awa Province; Hakkenden means "Legend of the Eight Dogs". These are known through the game as Divine Instruments. They can be optained through defeating bosses and buying them from merchants. Some even grant elemental powers whenever Amaterasu needs it. Two Divine Instruments can be equipped at a time, one as a main weapon and another as a sub. Each weapon acts differently depending on what it's set to. When bạn start a new game all weapons will be brought phía trước, chuyển tiếp to the new file except the final tier weapons. The inspiration for Issun, Amaterasu's wisecracking sidekick, as well as the Lucky Mallet. After years of marriage, a childless couple begged the gods for a child, even if they were as small as a fingertip. And thus, the gods took their words literally, and Issun Bōshi was born. A brief interview, with Eshiro-Game Producer-about the prospects of a Okami 3.
a comment was made to the poll: Favourite Okamiden character? a comment was made to the poll: Who do bạn like better? Bakugami hoặc his children? a comment was made to the poll: Ammy & Oki hoặc Ammy & Shiranui? What does "Okami" mean in Japanese? Should they make a sequel? ?